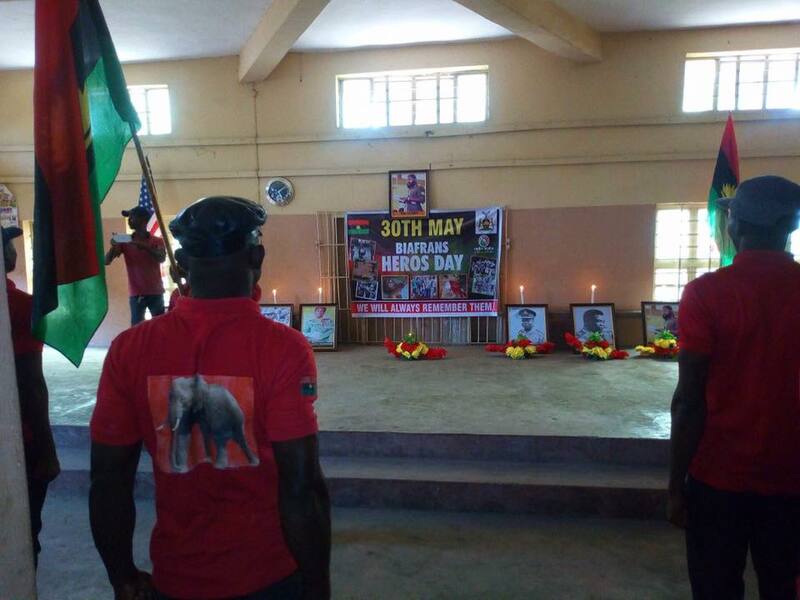 As the May 30th Heroes Remembrance Day of the people of Biafra worldwide has come and gone successfully, there are many lessons left behind by the people of Biafra especially those resident in Biafra Land for the world to learn in order to speed up action in their support of Biafra referendum. One of the lessons is that the whole people of Biafra from Igbo, Ijaw, Urhobo, Efik, Annang, Isoko, Ogoni, Igala to Ogoja people are now united behind the leadership of Indigenous People of Biafra (IPOB) ably led by Mazi Nnamdi Kanu as they lead the people to Biafra restoration at no distant time from now. The complete shutdown of Biafra Land both South East and South South and Middle Belt region of Biafra Land due to the order given by Indigenous People of Biafra (IPOB) worldwide for the remembrance of Biafra Heroes on May 30th is pointer to the world and Nigerian government in particular that the people of Biafra are no more interested in Nigeria but only focused on anything capable of bringing Biafra restoration. It was a big shock to Nigeria government to see cities like Port Harcourt, Enugu, Owerri, Asaba, Warri, Calabar, Uyo, Abakaliki, Umuahia, Nnewi, Awka, Aba, Makurdi, Otukpo and parts of Jos, Abuja, Kano, Lagos, Kaduna where Biafrans are in majority in a complete lockdown and economic activities grounded from morning to evening. It is good to say that there has never been in history of Nigeria where the people of Biafra complied with the Sit at home order of IPOB leadership like what happened on May 30th, 2018. Even in Ogoni land, Ijaw land and Bakassi peninsula businesses on the waterfronts on Atlantic Ocean, the commercial activities on the waterways and creek fishermen were deserted just to observe the Sit at home directive in order to honour Biafra Heroes. Reports coming from Markudi, Gboko and Otukpo in Benue State is that all the people of Biafra especially Igbo people in Modern market, Wurukum, Wadata market, all in Makurdi deserted their shops in the market because of May 30th Heroes remembrance Day of IPOB. Gboko Main market and Otukpo Main market also saw a scanty people of Hausa and Idoma natives in the market as most Igbo shops were all closed down completely in the markets. In South East and South South cities of Biafra Land, no human, vehicular or animal movement was noticed anywhere in Enugu, Nsukka, Abakaliki, Afikpo, Okigwe, Ihiala, Okija, Orlu, Umuahia except the murderous Nigeria soldiers parading up and down in the cities of Aba, Enugu, Abakaliki, Onitsha and Port Harcourt and looking for people to kill but failed woefully because Biafrans chose to stay at home. The Indigenous of Biafra (IPOB) leadership is indeed satisfied with the adherence of Biafra people worldwide to the observing of the heroes remembrance Day celebration both in Biafra, other parts of Nigeria and entire world, was the response of Comrade Emma Powerful when contacted by Family Writers Press current affairs department to get his reaction on what happened on May 30th, 2018. Comrade Emma Powerful further stated that the people of Biafra have shown the world that IPOB is not a mere organization belonging to a few Biafran agitators led by Mazi Nnamdi Kanu but that IPOB is anybody who is an indigenous native of both South East, South South and Idoma and Igala communities in both Benue and Kogi states in Middle Belt axis of Nigeria. He used the opportunity to commend the resoluteness of the people of Biafra worldwide for the unparalleled compliance to the sit at home order. He assured the people that the fruit of what they accomplished on May 30th, 2018 will soon manifest itself and culminate in Biafra restoration. God bless the people of Biafra.